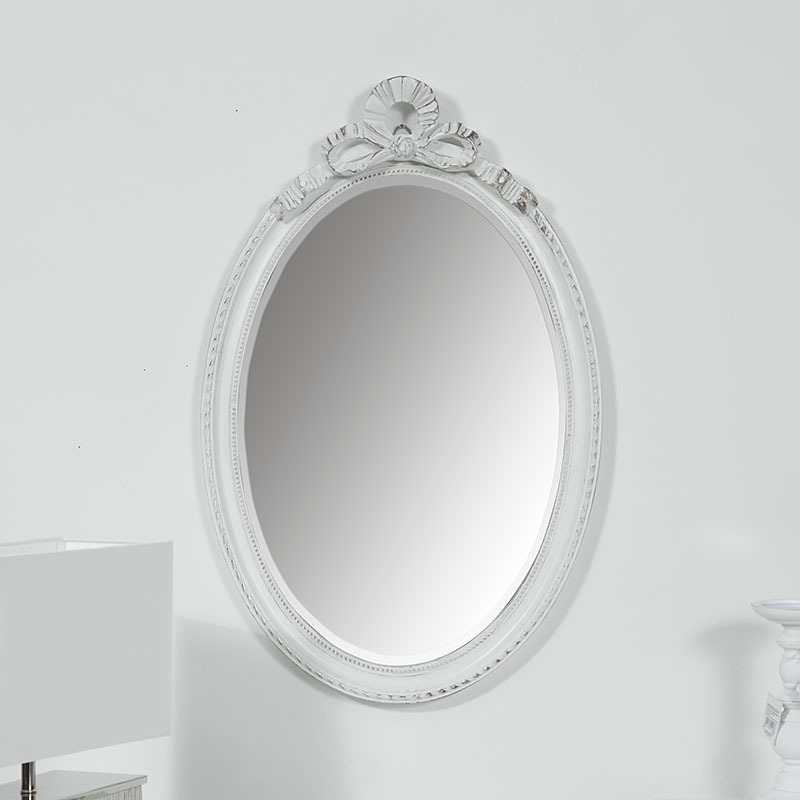 This oval wall mirror will make the prettiest accessory to your home decor. Beautifully vintage and elegant, this will look fabulous in a French styled living room or hallway to give a shabby chic feel. 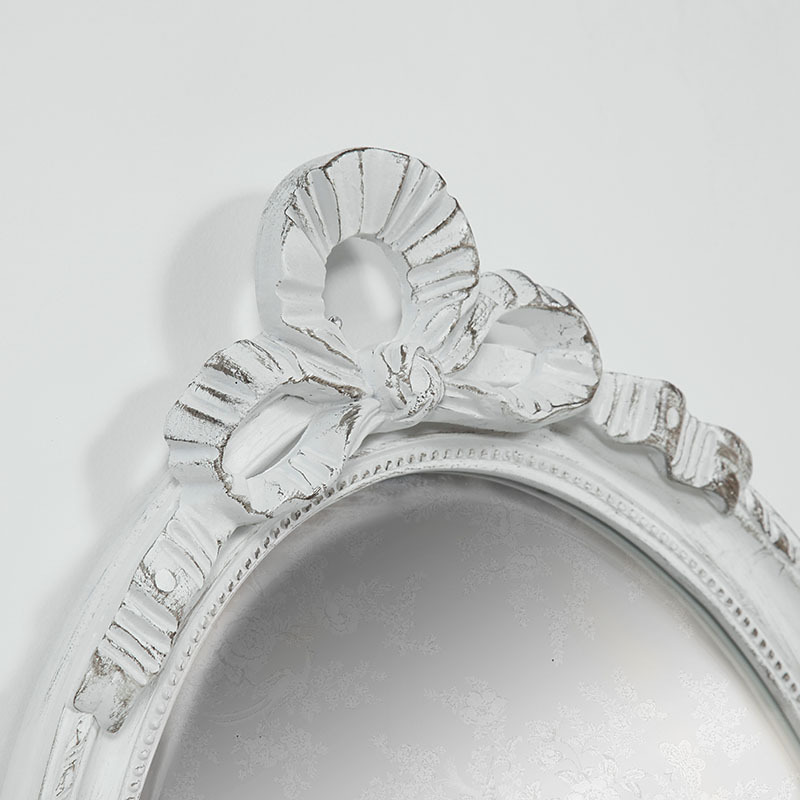 Decorative design with beaded and twined rope detailing decorating the frame and surrounding a bevelled mirror. The frame and topped with a carved ribbon and bow to add vintage appeal. This is a mirror that will stand out and add a wonderful focal point to any interior. 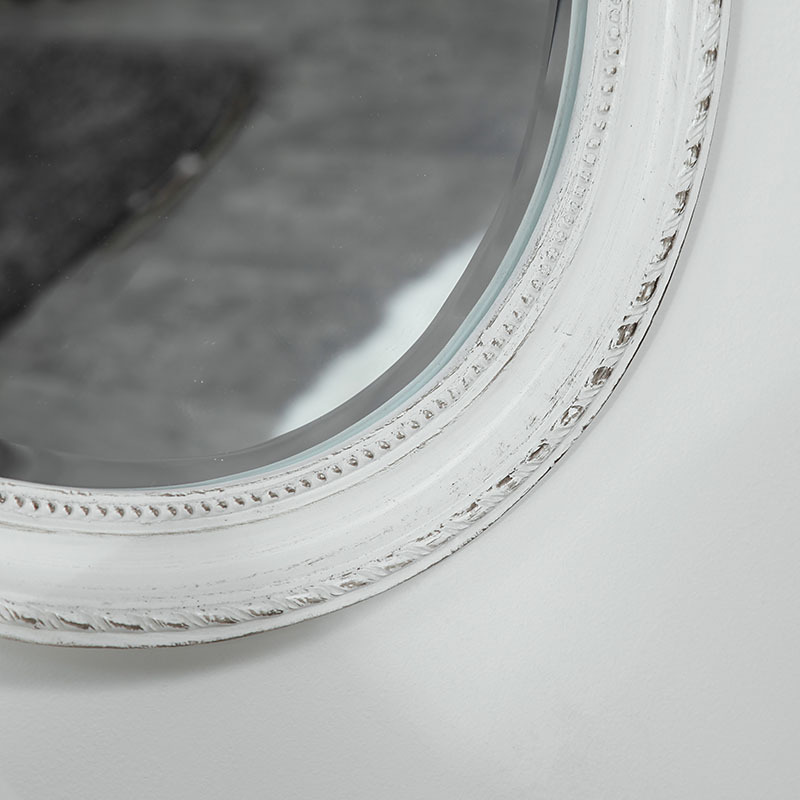 This oval wall mirror will make the prettiest accessory to your home decor. Beautifully vintage and elegant, this will look fabulous in a French styled living room or hallway to give a shabby chic feel. Decorative design with beaded and twined rope detailing decorating the frame and surrounding a bevelled mirror. The frame and topped with a carved ribbon and bow to add vintage appeal. This is a mirror that will stand out and add a wonderful focal point to any interior. Wooden frame with resin detailing, finished in a distressed antique white. The mirror is wall mounted with a hook on the back.